The evil Magnum Khaos plans to use an army of monsters to enslave earth, and only one man stands in his way . . . That man is Jake. 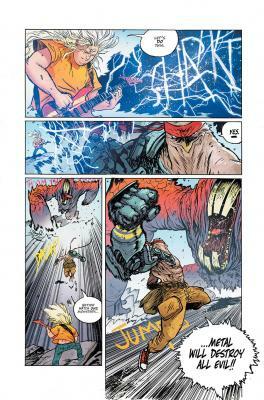 He’s an average down on his luck rocker, armed with nothing but a guitar and an muscle bound anthropomorphic falcon named Murder Falcon (obviously). Jake must use his sick shredding skills to power up his bizarre friend and give him the energy he needs to kick in some serious monster skull. If there is more metal paragraph than the one above, I have yet to read it. 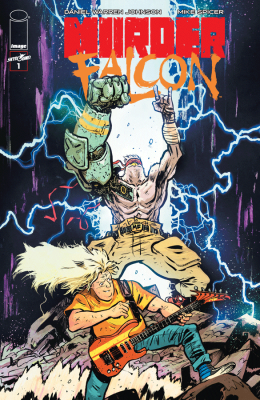 Murder Falcon is all you’ve ever dreamed of and then some. It has monsters, metal, mayhem, and more! This story gives us a surprisingly good mix of action and plot. Daniel Warren Johnson (Extremity) is taking this fun/uber out there premise and wrapping it around a deep heartfelt story about redemption and overcoming loss. The character has a lot of demons to wrestle with both emotionally and physically. Don’t be fooled by the silly concept of this book there is actually a powerful message buried beneath its surface. One that I believe is very important to Johnson and one that he expresses with reserved thoughtfulness. Have no fear though this book does not get bogged down by it’s serious undertones. It’s still an action packed romp that shreds harder than the music that inspires it. The art of Daniel Warren Johnson is so energetic that it’s impossible not to enjoy. It’s a cartoony style that leaps off the page. The action is intense and has a very anime quality. The character designs remind me a lot of the 80s/90s cartoons I loved so much especially TMNT and it’s many rip offs like Street Sharks (They’re Jawsome!). I have a feeling mainly because of the anthropomorphic Falcon with the metal arm that Johnson pulled inspiration from these cartoons. However, I have done zero research to back this hunch up. Either way I think Murder Falcon would have fit perfectly in a Saturday morning cartoon slot. Even if some of it would have gone over the heads of sugar powered snot machines like the younger me. Murder Falcon is one hell of a ride, and it’s only just begun. It’s a completely metal concept with fantastic art and a bad @$$ titular character. One who shoots you back to the good old days when martian mice rode motorbikes and dinos were extreme. However, that’s not all it has going for it. It also has heart and takes on some serious themes. 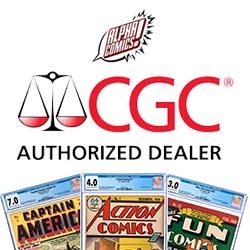 This is a must for all shell heads and definitely a nice break from the comic mainstream.